The US sea services have released a new maritime strategy, a plan that describes how the Navy, Marine Corps, and Coast Guard will design, organize, and employ naval forces in support its global dominance. 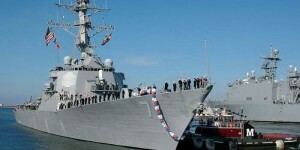 The new strategy titled, “A Cooperative Strategy for 21st Century Seapower” highlighted “forward,” “engaged,” and “ready” as key words and kept the original theme of “ensuring our capability to intervene overseas.” It calls for increasing the Navy’s forward presence to 120 ships by 2020, up from about 97 ships today. This includes forward-basing four ballistic-missile-defense destroyers in Spain and stationing another attack submarine in Guam by the end of 2015. The Navy is scheduled to increase presence in Middle East from 30 ships today to 40 by 2020. The strategy reinforces the continued need to strengthen partnerships and alliances by stressing the importance of operating in NATO maritime groups and participating in international training exercises. The US strategy emphasizes operating forward and making proxies across the globe, especially in the Indo-Asia-Pacific region. Thus, the hard anti-Russian rhetoric of the Washington is a side of the global stand-off. 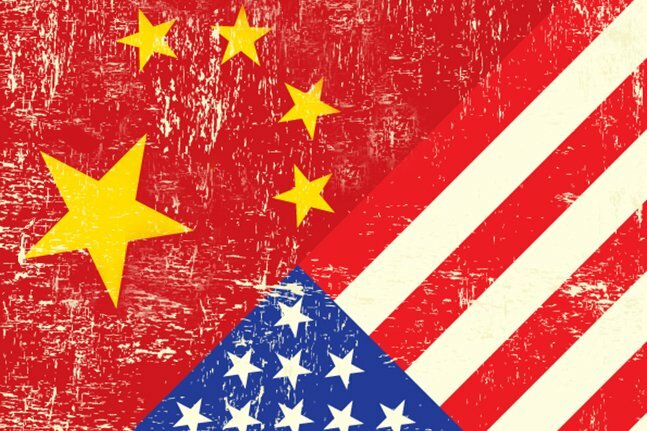 At the very same time, the United States is preparing to go deeper in deal with China. The US strategists are concerned about the rise of Chinese naval forces and its expansion to the Pacific Ocean. Particularly, they aimed to prevent a situation when China will be able to defend particular zones of sea communications from foreign intervention. This is Chinese DF-21D anti-ship ballistic missile purpose. In 2008 the U.S. Department of Defense estimated that China had 60-80 missiles and 60 launchers. The risk of establishing area denied operational environment, for instance in South China Sea, worries architects of the strategy. Since the American ‘pivot’ toward Asia, a tolerant term for the US deterrence policy against China, in 2011 United States Navy has deployed 60 percent of all it powers in Asia-Pacific region. Indeed, the US Navy is ready to deploy more in order to establish own control in China’s zone of interest. Armed with its unparalleled navy, the US gets a louder voice and more power to restrict military or economy use of the oceans by other countries. In other words, it indicates the US intention to control the trade in the Indian Ocean and the Pacific or even monopolize it in those waters. Here is the problem. In April China overtook the United States as the world’s top importer of crude oil and 80% of this oil and many other important resources China imports through the Malacca Strait which Chinese navy doesn’t control. In this context it’s clear why Beijing claims sovereignty over nearly all of the South China Sea and is building a military base in Djibouti. China supports counter piracy operations in the Gulf of Aden, conducts humanitarian assistance and disaster response missions enabled by its hospital ship, and participates in large-scale, multinational naval exercises. Washington immediately protested against the China–Djibouti relations and expressed concern over China’s plans to build a military base in the Obock region, but to no avail. China has to defend the supply of oil at its long way and isn’t able to do it now. The problem is it doesn’t have enough naval bases at the vital shipping lines yet. “String of pearls” strategy initially suggested as a series of sea ports and naval bases stretching along the Indian Ocean has to solve the issue. The seaports will be support places and investments that could pay dividends on a strategic level while causing broader security amenities. China’s naval defense strategy is grounded on the combination of “offshore waters defense” with “open seas protection” concepts. The “offshore waters defense” consists of two missions. One is to protect China’s eastern coastal area, which has the country’s most economically vibrant region. The other is to ensure the safety of the expanding shipping lines that are vital to China’s economic growth. “Open seas protection” concept also has two elements. One is to extend maritime protection to waters over 600 miles from the Chinese coast by building supply depots in the disputed South China Sea, trying to conduct submarine activities in the Indian Ocean and acquiring bases beyond the region. The other is to develop capabilities to conduct non-conventional security operations outside the region, such as naval diplomacy, joint maritime law enforcement and humanitarian assistance. Compared with the United States, the PLA Navy has sufficient self-defense capabilities, but deficiency in cross-region operations and force projection is evident, thought Beijing is trying to change that. On the other side China’s unique geographic location allows it to establish control over its local seas–the Yellow Sea, the East China Sea and the South China Sea. That is what the United States has accused China of doing in the last five to 10 years–the so-called “anti-access/area denial, A2/AD” or the “fortress fleet” strategy. This is the real reason of boiling over the China’s island-building work in South China Sea. Washington is sufficiently alarmed by a perspective to lose the maritime control in the region and has started the naval force race under an umbrella term of “all domain access”. Despite this, Beijing is adamant. In June, China said it was shifting work on disputed South China Sea islets from the dredging of land to the construction of military and other facilities. The US containment policy against China includes not only holding of old alliances but a creating of new. In the recent strategy Washington pledges to strengthen cooperation with six long-standing allies: Australia, Japan, New Zealand, the Philippines, the Republic of Korea, Thailand and lists eight new partners: Bangladesh, Brunei, India, Indonesia, Malaysia, Micronesia, Pakistan, Singapore, Vietnam. With help of its Asian allies the US are going to seal off the PLA Navy in South China Sea and prevent its moving in operations space. Further, the Washington’s diplomatic rhetoric over the long-standing allies, shared strategic interests and cooperation in Asia, in fact, aimed on establishing a ground coalition against China. Despite the fact the official U.S. strategy ignoring Taiwan issue, the island may easily become a flash point of the ongoing confrontation. And Western media machine has been already setting the ground for it. On July 22, U.S. magazine, The Diplomat, reported that “the People’s Liberation Army soldier is seen running towards a building that bears a striking resemblance to the Japanese-built Presidential Office in Taipei” during the Series C of this year’s live-fire Stride 2015 Zhurihe military exercises. The magazine argues 2 things. First is that PLA is practicing a storming the Presidential Office to bring pressure on Taiwan in the context of its presidential and legislative elections in January 16, 2016. Second is Chinese military has been preparing to invade the island. But the facts should be taken in its proper context. The military drills are signal not for Taiwan, but for the US. China shows its capacity to solve a Taiwan problem by force to predict an attempt to use the island for strengthening of U.S military presence, aggressive activity of U.S. special services through Taiwan or an economic sabotage threatening it. In other cases, Beijing would much prefer to reintegrate Taiwan without having to resort to force, but by cultural, economic and political tools. Moreover, it already has a successful experience of lost territories reintegration: Macau and Honk Kong. Another area of the US-China geopolitical confrontation is the Indian Ocean. U.S. strategists, media outlets and public experts argue India is rival state for China. Monetary wealth and power growth of both states will result in inevitable clashes between them. According to them, motive behind “string of pearls” strategy isn’t solving logistical problems of China’s Maritime Silk Route but encircling India. If established commercial ports will be militarized with PLA Navy. The concerns about China’s influence in the Indian Ocean Region empower the US to involve India in the American area of influence as a part of the global anti-China strategy. Good news for Washington is India has been actively building a new powerful fleet including aircraft carrier groups. So, it could be a very useful tool. Directly, Chinese and Indian maritime interests face in Sri Lanka leaving the India’s area of influence under the impact of China’s economic projects. For Beijing, ports of Sri Lanka funded by Chinese investments are a cell in planned maritime infrastructure from South China to Pakistan, a natural opponent of India involved in China’s Maritime Silk Route. The US will likely use these features to set on fire China-India relations to use Indian political, military and economic power to discourage Beijing from adopting its maritime policy in the Indian Ocean. The U.S. strategic purpose is to seal off the PLA Navy in South China Sea and prevent its moving in operations space and encircle China by land. In this order, the U.S. holds old and sets up new alliances with nations in Indo-Asia-Pacific region. The U.S. media machine has already started information aggression against China-Taiwan relations to support raise of the Washington’s influence in the island. Meanwhile, American special services will try to fuel Pakistan and Sri Lanka in order to make triangle where the US and India opposite China in Indian Ocean Region. 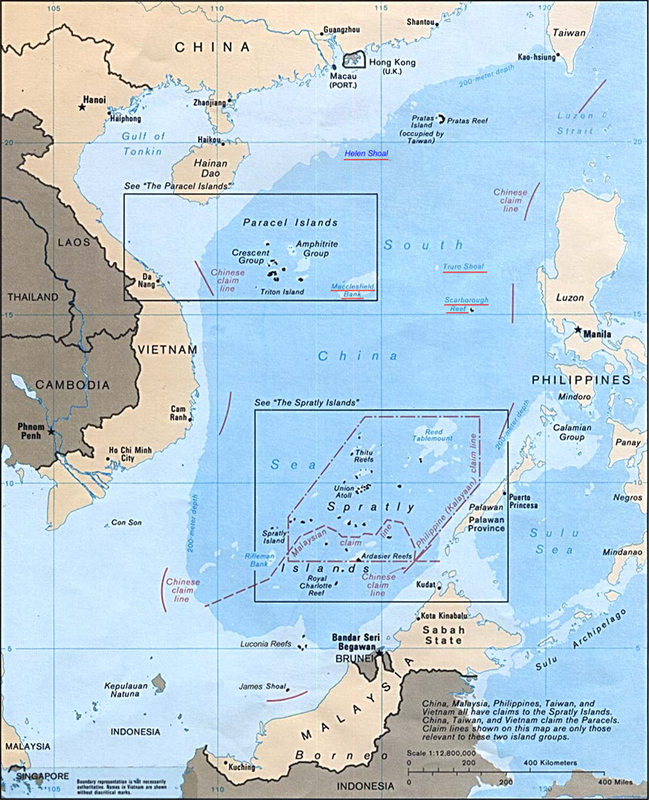 With Washington’s support, the tenses will also raise in the South China Sea where Malaysia, Taiwan, Vietnam, Brunei, and the Philippines claim maritime territory. The US sea services will constantly strengthen its presence there, in the India Ocean, in the Pacific Ocean preparing to deal a crushing blow to Beijing. China will answer with “fortress fleet” strategy in its local seas, building powerful Pacific fleet, putting into practice Maritime Silk Route project infrastructure in the Indian Ocean and developing the relations with Russian Federation in the Eurasia. Also, India and China can absorb a lot of profit from the mutually advantageous cooperation. The only thing that they need for it is a mediator to start a constructive dialogue. Russia, which has a good fellowship with both, may become it. This will solve the tensions in the region and allow the nations to go for the further development.